Snapchat is a video messaging app for smartphones that allows users to send and receive pictures, videos and messages, which will vanish in a matter of seconds. Each sent pictures or videos are called “Snaps”. Many smartphone users are fond of this application, since anyone can share their activities to their friends easily. And the best thing is that all Snaps received will not consume a space in your phone’s memory for it will be deleted automatically. However, many users may wonder how to save video from Snapchat for reviewing their favorite video Snaps easily. To know how to do this trick, you can check out the list provided after the post. To grab a video Snap secretly, the best way to do it is by means of recording. Since Snapchat does not allow direct download, then recording would be a great alternative. This method works just like how you capture your screen activities on your desktop, but this time you will record the activities of your smartphone. In recording video from apps like Snapchat, here are the two reliable screen recording apps that you can utilize. If you want to save video from Snapchat on your iPhone or iPad, then you can make use of a program called Apowersoft iPhone/iPad Recorder. This application can mirror your iPhone/iPad screen to the PC and provides a recording option to capture any activities on your iOS devices along with audio. Moreover, you can also choose the recording resolution (720p and 1028p) and format (MP4, WMV, AVI, GIF etc.). It also allows you to take screenshot in the middle of the recording. To know how to record video from Snapchat with this recorder, just follow the steps below. Download, install and open this application on your PC. Next, set up your computer and iOS device in the same WiFi network. On your iOS device, swipe up from the bottom of the screen to open the Control Center, then tap AirPlay, and then, turn on the TV screen icon with your computer name to enable the screen mirroring. 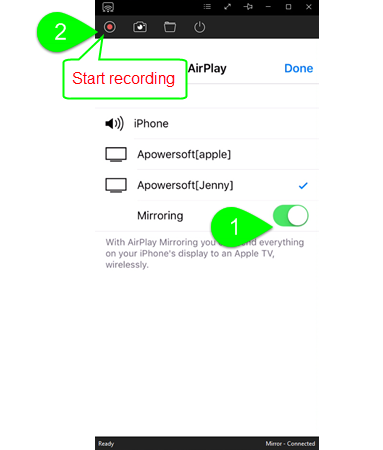 When your device’s screen is projected, you can now begin the recording by clicking the record button located at the upper portion of the mirrored screen. Now open Snapchat and play the video that you need to grab. Once done, click the stop button to end the recording. After that, a folder will pop up with the Snapchat video recording in it. If you are wondering on how to save Snapchat videos on Android devices, then you can make use of a program named Apowersoft Android Recorder. 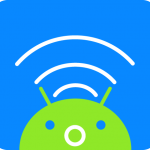 By using this app, any Android users can capture their video Snaps easily on Android 5.0 or later. The features that you can get from this app include HD video recording, real-time screen casting, instant screenshots making and many more. For making your desirable screencast, it even provides recording preferences such as video format, audio input, video quality, etc. 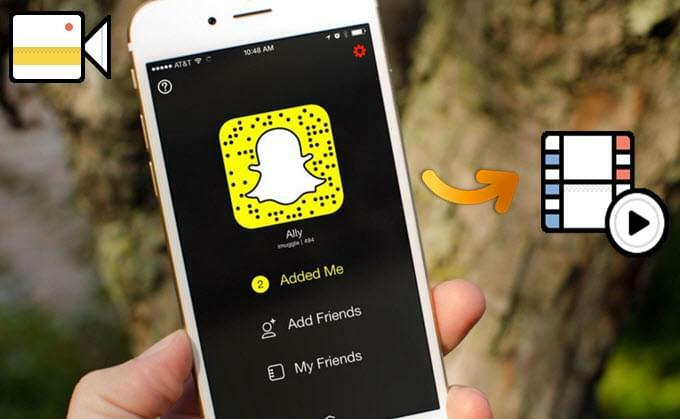 To record Snapchat videos with this tool, simply follow these steps. Set your computer and Android device under the same network. Then install this program to your Windows/Mac and run it. Click the more icon the top right of the interface and configure some settings in options. Slide down the context menu in your Android device, then tap “Cast”. Find the available device with your computer name on it, press it to connect and hit “DONE”. 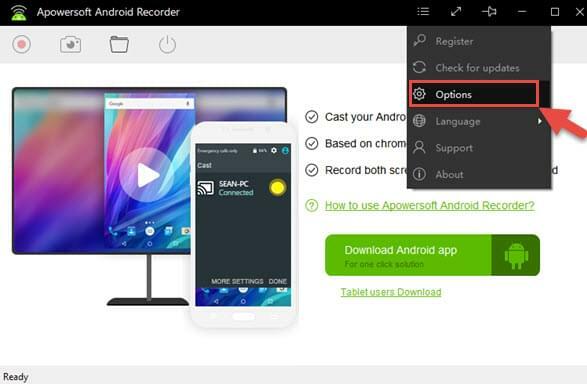 Then your Android screen with audio can be streamed to your computer. Next, open Snapchat on your phone and play the received video Snap. Click the red recording button on the top of the projected screen to start capturing. Once done, hit the stop button and the recorded Snapchat video can be found in output folder. Tips: If there isn’t a “Cast” icon in your context menu, you can download “Google Cast” in Google Play store for connection. If you are not satisfied with the applications shown above, then you can utilize the third-party Snapchat applications. Although these applications are blocked from Google Play, you can still get them by downloading it from their webpage. The perfect example of these apps are includes the ones shown below. If you want to grab Snaps directly from your phone, then this app is what you are looking for. This application is capable of saving snap and stories, directly sends snaps to photo gallery and apply custom captions. It also has a function to add custom drawing effects as well as filter. It is a great app for those who want to keep their received Snaps instantly. 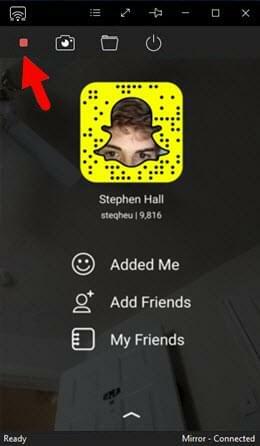 This tool does not only allow you to grab Snaps from Snapchat, but it also serves as a good alternative to it. 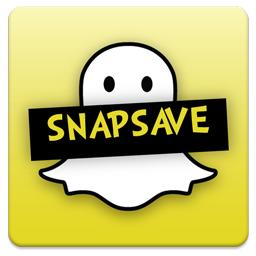 By using SnapSave, users can save any received Snaps without anyone knowing it. Plus, you can send Snaps directly using this app. In spite of these, some users claim that this app crashes at times so you can use it at your own risk. 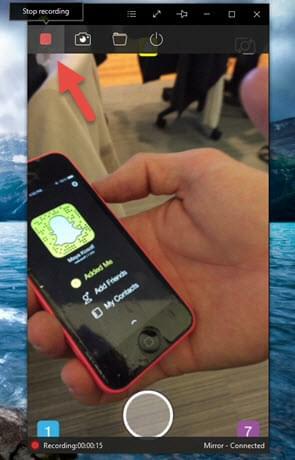 Those are the apps to save Snapchat videos secretly. All of them work decently in grabbing videos from Snapchat. But if we are going to compare the ways, the recording way has the edge since third-party applications are not stable enough. Furthermore, by recoding screen, users can also have the privilege of capturing other screen activities aside from capturing Snapchat videos, which cannot be done with third-party applications. Rating: 4.3 / 5 (based on 98 ratings) Thanks for your rating! Maybe, but we are only sure that the first two applications are guaranteed to be safe and secure.